Combining vintage inspired style and luxury design, this stunning vine patterned band from the Neil Lane Designs collection is crafted in shining sterling silver and set with 0.11ct carat of diamonds. Neil Lane Designs are uniquely beautiful. 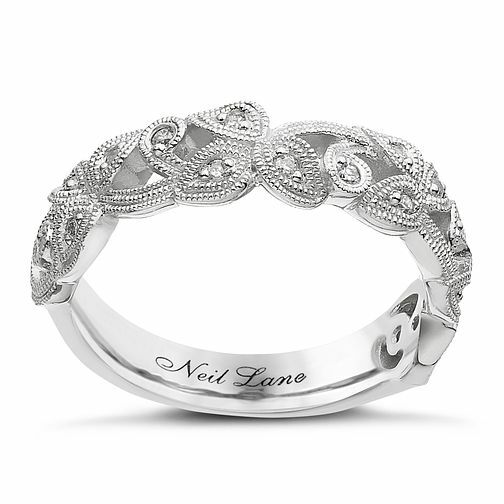 Neil Lane Designs silver 0.11ct diamond vine band is rated 5.0 out of 5 by 5. Rated 5 out of 5 by Anonymous from Beautiful! The detail in this ring is amazing and I have had so many compliments on how lovely it is! It's solid, and catches the light beautifully. I wear it every day and it survives washing up and daily wear.